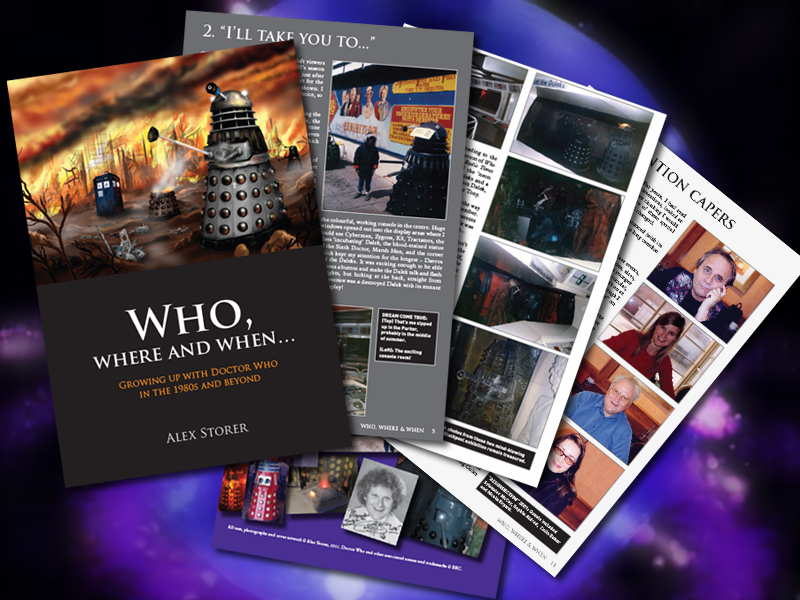 A mind-blowing visit to Blackpool, a winning competition entry, Colin Baker’s stubble, a cake-fuelled home convention and a hankering for toy Daleks are just a few of the things you’ll read about in Who, Where and When – one fan’s personal account of growing up in Sheffield with Doctor Who in the 1980s and beyond. Who, Where and When looks beyond bad press and viewing figures, and celebrates the importance and inspiration of Doctor Who of the 1980s. It charts a young man’s journey from series discovery to cancellation; from re-discovery to revival, along the way detailing the excitement of exhibitions, conventions, events and encounters. An excerpt from Who, Where & When is included in the book You and Who (vol1).